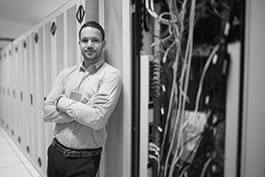 IT systems administrators install, configure, and support an organisation's local area network (LAN), wide area network (WAN), and Internet system or a segment of a network system. Maintain network hardware and software. Monitor network to ensure network availability to all system users and perform necessary maintenance to support network availability. Diagnose hardware and software problems and replace faulty components. Maintain and administer computer networks and related computing environments including computer hardware, systems software, applications software and all configurations. Design, configure and test computer hardware, networking software and operating system software.